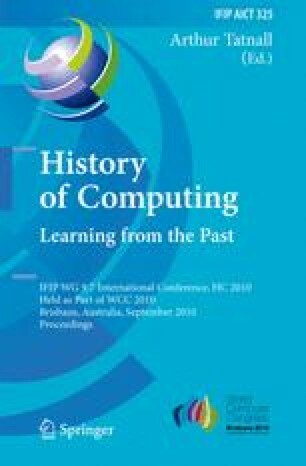 The emergence of electronic stored-program computers in contain the 1940s marks a break with past developments in machine calculation. Drawing on the work of various historians, I attempt to define the essence of that break and therefore of the modern computer. I conclude that the generally used distinction between computers and precursor machines in terms of the stored-program concept and von Neumann architecture rests not only on differences in hardware but also in the programming and use of machines. Next I discuss the derived definition in terms of machines from the 1940s and 50s to elucidate the definition’s implications for the history of computing.